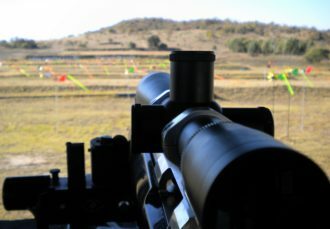 Imagine you’re in a field facing the target. The target is at 12 o’clock. A wind blowing towards you, a head-wind, is a 12 o’clock wind. A tail wind that blows from your back—your six—is a 6 o’clock wind. A wind coming from your right, blowing across to your left, is a 3 o’clock wind. And a wind blowing from your left is a 9 o’clock wind. Another bit of jargon is to talk about wind value. A direct cross-wind, for example from 9 or 3 o’clock, is called a full-value wind. That’s because the wind is affecting the entire side of the bullet as it travels down range. A 12 or 6 o’clock wind is a zero-value wind. The point of the bullet or its base has a small cross-section relative to the area of the bullet’s side. A no-value wind will have no affect on the bullet’s horizontal trajectory. Now a 12 o’clock head wind will increase drag on the bullet, which will result in a lower point of impact on target (we’ll talk about that more in a bit), but it won’t affect your windage adjustment. A wind from 1 or 2 o’clock, or from 4 or 5 o’clock, is a half-value wind. Roughly speaking, it will affect windage half as much as a full-value wind. So why do we need the labels? You obviously don’t need to know them to shoot the gun, or to become a marksman in precision rifle. They give us a frame of reference to talk with each other. 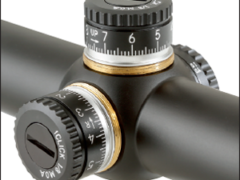 It allows a spotter to clearly tell the shooter what conditions he needs to adjust his scope for, or hold for. I can coach someone on the range to avoid the head wind, or jump on that light 7 o’clock condition. So it’s just about communication. Same as how the benchrest community tends to buy the same powder measures so we can share information more easily about our loads. Bullet Point of Impact (POI)—How Does the Wind Change it? Let’s get to the heart of the matter. A full-value wind will push the bullet in the direction of the wind, but it will also change the vertical point of impact. A 9 o’clock wind will push the bullet to the right and down. The higher the wind velocity, the farther down and to the right the bullet will impact the target. This is because of the direction of bullet spin. Most barrels are right twist (you can request a barrel with a left twist, but for the most part your barrel will spin the bullet in a clockwise direction). For long-range rifle shooters, this will cause something called spin-drift, where the bullet will naturally drift down to the right over distance. I’m talking about something additional to spin-drift. A strong full-value wind will deflect the bullet much more dramatically, even at short ranges. A 3 o’clock wind will cause the bullet impact to move to the left and high. It will climb diagonally on the target—but not as much as a 9 o’clock wind moves the bullet diagonally in the opposite direction. This is because the bullet spin ‘bucks’ the wind. Let’s talk more about the affect of a no-value wind. A 12 o’clock wind will increase drag on the bullet, which slows it down. The bullet will take longer to reach the target compared with a calm wind condition. This will cause the point of impact to drop on the target. Similarly, a 6 o’clock wind will push against the base of the bullet, which will slightly increase the bullet’s velocity. 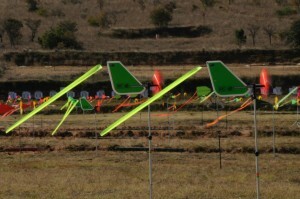 A tail-wind will cause the bullet to climb vertically on target relative to a benign wind condition. Now I’m talking about pure winds, with no other interference on the range. Next video we’ll discuss how to deal with some of those complications—to fine-tune your marksmanship for precision rifle shooting! P.S. If you have a second, I'd love you to leave me a comment, and share this article with your followers! (It’s just below). I found the video on reading the wind very informative—well done. Wondering if a follow up wind reading video is in the works, where you explain how to make the appropriate adjustments. OMG Mrs. Vera I love you, because you are a natural born teacher. Thank you for sharing your knowledge and skills. Thanks Edwin for your kind comments – I want to post many more videos and start an online training course to help shooters improve their game! Looking to possibly get into precision shooting but an pretty green. 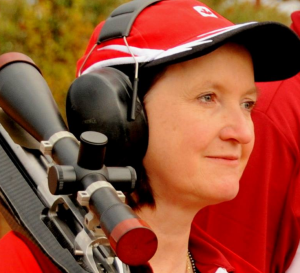 Plus I am 62 years old but did some shooting years ago but not in competition. Is there any books you would recommend for precision shooting? I would appreciate your advice. Good books for precision shooting! Thanks for the information. 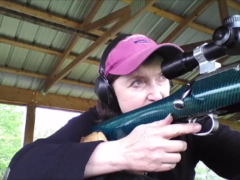 I have been handloading and shooting hunting rifles for over 50 years and have never hears what you tell us in this video. Most of my hunting shots (I’ve hunted in Africa, Alaska, continental US) have been around 100 to 150 yards…where wind had little effect. But I’ve always considered a hunting rifle’s accuracy should be well within 1″ at 100 yards. Mostly I’ve been able to do this. Your video(s) are helping. Thanks again. Hello Vera. Love your site and all the info! I am also just getting into the precision addiction. 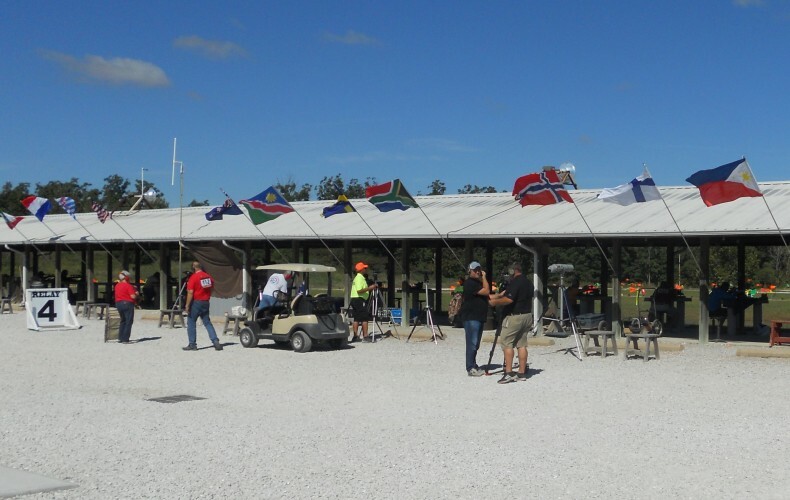 Was wondering if there is ever a benchrest clinic put on in Ontario to teach the basics for shooting similar to the one that is done out west at Rosebud? Do you ever put on clinics or do work shops? There are shooting courses at ranges in the Province but I don’t have first-hand knowledge. I am on the eve of publishing my first book in a series on shooting, will have details on the website soon.